The eligibility rules for the School are set out in the Schedule to the Royal Warrant. 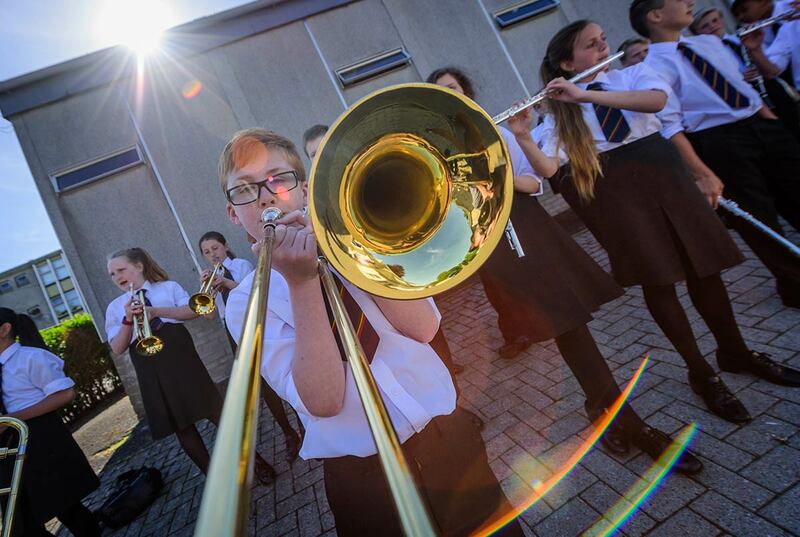 The full QVS Admissions Policy can be found here, but, in brief, admission to the School is open to the children of serving Scottish personnel or those serving personnel who have served in, or are currently still serving in, Scottish units or units in Scotland. Priority is given to children whose parent has been killed or have died whilst in service; other compassionate cases; and length of remaining service. The School is open to the children of serving parents of any rank. The main entry point is the last year of Scotland and Northern Ireland primary education (P7), or Year 6 in England and Wales. Vacancies arise from time to time for later years. An Admissions Board is held during the Spring Term, chaired by a Commissioner appointed by the Board with the Head Teacher, a Depute Head Teacher and the School Business Manager (Bursar) as members. Vacancies are allocated based on eligibility, a classroom experience (taught lesson), group discussion, some testing, and school reports from previous schools. Interviews will be conducted for senior year entry. Decisions made by the Board are final.